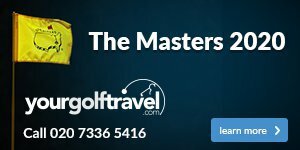 Buying an electric trolley is an expensive purchase, which is why we've set out to make it as easy and straightforward for you as possible. In this article, we take a closer look at the Motocaddy S5 CONNECT electric trolley, answer some common questions and break down its features into a simple list. 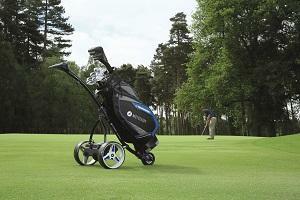 What makes this trolley different to the others in Motocaddy's range? The S5 CONNECT is the standout trolley on the market; utilising GPS data to provide front, middle and back distances on the trolley's digital display as well as a host of other handy little features. Why should you choose the S5 CONNECT over other trolleys? 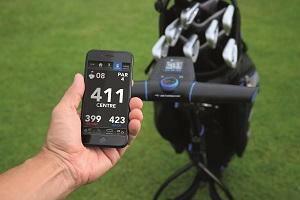 Totally portable GPS - not only can you get yardages on the trolley's display but you can also get them on your smartphone, meaning you'll be able to get exact yardages to the green from places that your trolley can't get to either - like in the trees! What other features does this trolley have? This trolley comes with many of Motocaddy's flagship features, including Adjustable Distance Control, nine-speed settings and a soft-touch ergonomic handle. It also has Motocaddy's QUIKFOLD mechanism meaning it couldn't be simpler to fold the trolley down after a round, as well as EASILOCK compatibility so that your bag stays in one position during your round. Hopefully, this has helped you understand a little more about this stunning trolley. 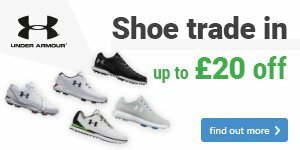 If you want to learn any more then visit our product catalogue page by clicking here, or come and speak to a member of the team in store.